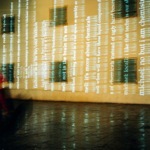 Rafael Lozano-Hemmer - Project "Re:Positioning Fear"
"Re:Positioning Fear" was the third relational architecture project. 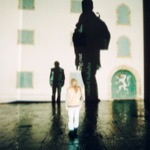 A large scale installation on the Landeszeughaus military arsenal with a "teleabsence" interface of projected shadows of passers-by. 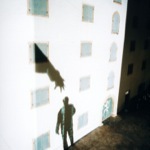 Using tracking systems, the shadows were automatically focused and generated sounds. 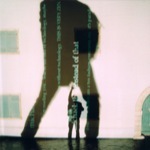 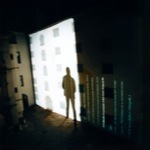 A real-time IRC discussion about the transformation of the concept of "fear" was projected inside the shadows; the chat involved 30 artists and theorists from 17 countries and the proceedings can be seen at the project web site. 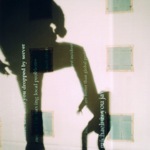 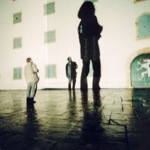 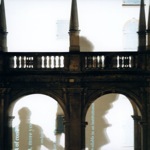 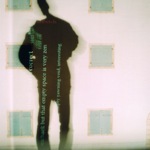 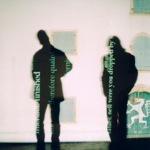 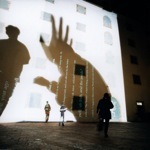 Keywords: interactive, networked, outdoor, shadows, recorder, site-specific, projection, sound, tracker. 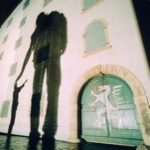 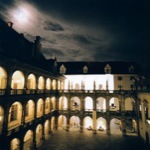 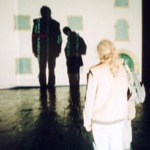 Re:Positioning Fear, 3rd Internationale Biennale Film +Architektur, Graz, Austria, 1997.